Description This hard-coated 15 oz. Two Tone Matted Bistro Ceramic Mug measures 4-1/4" (height) x 3-1/8" (rim) x 2-1/4"(base). It makes the perfect keepsake for almost any business or occasion! Customize with a silkscreen imprint within a 3" x 1.75" surface and hand out at your next event! 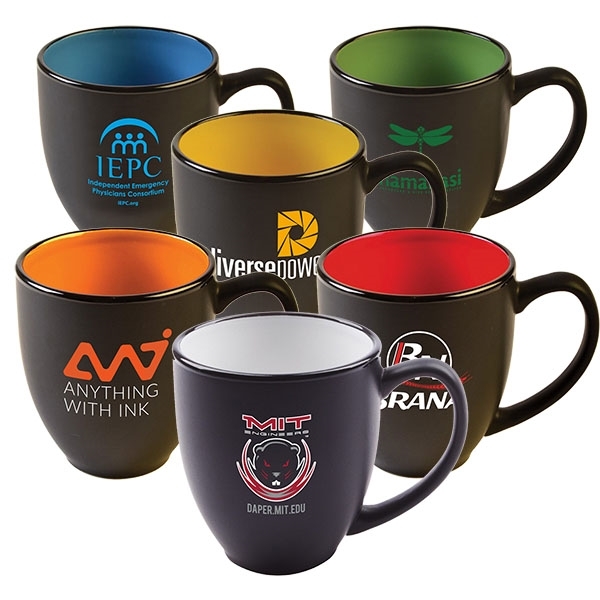 This versatile promotional product is ideal for businesses within all typesof industries! Available in Black Matte/Orange.